IS THE TRUTH ANTI ISRAEL? So, are we now at a place where it is forbidden to criticise or condemn Israel? Are we at a place where we must accept blindly everything they do as acceptable? I certinly hope not. I am not now, nor have I ever been a member or supporter of the Liberal Party of Canada. But… when a prospective leader speaks the TRUTH… it should be listened to and applauded…. his statement… not him or his party…. Don’t get me wrong here! Below is an article from Reuters on the situation… followed by a link to a fellow Blog… which is worth reading. The leading candidate to head Canada’s opposition Liberal Party was defiant on Friday after opening a political can of worms with the charge that Israel committed war crimes during its Lebanon campaign this summer. Michael Ignatieff, a human rights expert and a former Harvard don, said at the weekend that Israel committed a war crime when it bombarded the Lebanese village of Qana in July. That prompted angry complaints from Conservative Prime Minister Stephen Harper that the Liberals, who have more often than not run Canada, had taken an anti-Israel stance. “I think we all remember last summer when the Liberals were making all these anti-Israeli comments,” Harper told reporters, noting that only two candidates to head the party had distanced themselves from such remarks at the time. Ignatieff has a hold on the largest single number of delegates to the Liberal leadership convention in December, although there could be several rounds of voting and he is by no means guaranteed victory in the race to head the party. He said on Friday that it would be up to international bodies to determine whether Israel had committed war crimes at Qana, although he also said he thought both sides in the conflict were guilty of crimes against civilians. “I do believe that in this explosive conflict, war crimes were visited on Israeli citizens and were visited on Lebanese civilians,” he said. Ignatieff, who stressed his friendship for Israel and said he would travel there soon, said it was disgraceful for Harper to suggest the Liberals were anti-Israeli. Harper said that only two of the eight Liberal leadership candidates, Joe Volpe and Scott Brison, had criticized anti-Israel rhetoric over the summer, and he accused other candidates of being hypocritical when they spoke out against Ignatieff’s remarks on Israel this week. Volpe and Brison are near the bottom of the pack in Liberal support. In the early 80’s I was living in a small town in Northern Ontario. There was a university there which was attended by many foreign students. One of them was a young man from Palestine. Ahmed often came to my home to visit and we became very good friends. I remember on one occasion he related to me a childhood experience that left me feeling sick… I doubted him at first thinking that the story was exaggerated, or even fabricated, but never the less, it remained with me. He told me of walking home from school in his home town of Nablus, he and a friend. He then told me that ‘out of the blue’ Israeli soldiers appeared on the street and shot his little friend dead. I did not want to believe that any civilised country would allow its soldiers to act in this manner…. I thought his ‘tale’ was just another from the anti Israeli propaganda machine. After living here some twenty two years I can honestly say that there is no such machine… Israel itself produces enough reasons in one day to prove that my friend spoke the truth to me. To add insult to injury, I, the son of Eastern European immigrants, born in the United States, being removed from Israel by some 2000 years was allowed entry to Israel… entry to remain here permanently. Ahmed, who was born here was not permitted to return. 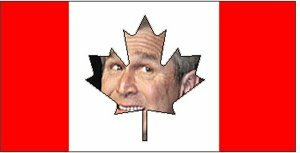 He must spend his life in exile, in Canada. Is he guilty of a crime? Most definitely so!!! 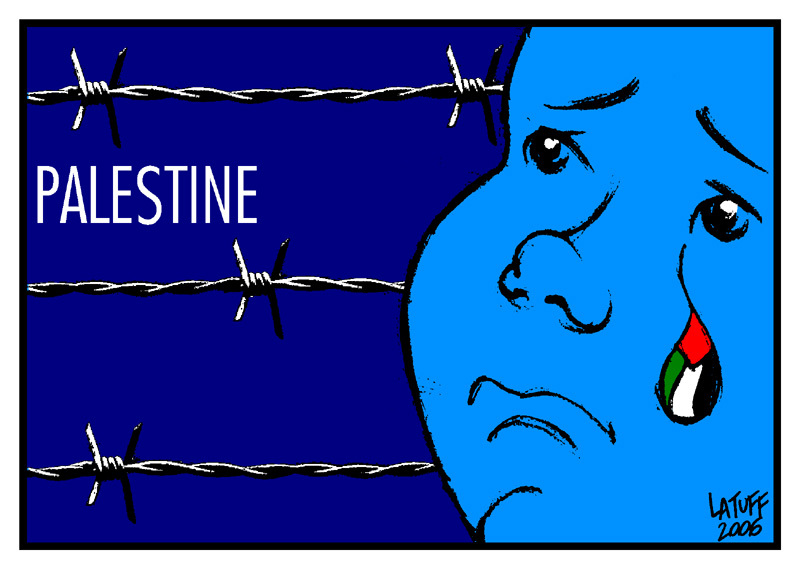 He is a Palestinian… an unwanted person in his own land. Just one more reason why Palestinians must have a RIGHT OF RETURN…. they deserve it and will one day get it. Israel, on the other hand, continues to keep the ‘story’ Ahmed told me alive by continuing to kill innocent children. The only difference today is that I no longer doubt the truth about it all… it’s here for everyone to see. Sorry Ahmed for ever doubting you…. Here are just a few headlines from this mornings Israeli press… all out on the open. I only hope that the November elections will make the above cartoon a reality. 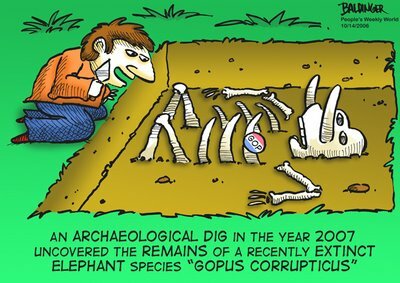 The GOP (‘Grand old Party’) has had it’s day…. time for the people to have theirs! I thought THIS video was very fitting here… worth watching. The Boston Globe featured this brilliant article the other day. It raises some very interesting points and questions. One of the arguments that the zionists put forth when denying the Palestinians statehood is that ‘there never was a Palestine or Palestinians’….. This article shows this argument to be a lie, as are most zionist arguments against their statehood. It is definitely worth reading. Thanks to Sam Bahour for bringing it to my attention. AS I WRITE, with rival Palestinian factions Hamas and Fatah unable to agree on the fundamental basis for a new coalition government, and with the devastating effects of the Israeli and international boycott provoked by Hamas’s victory in last January’s elections, the Palestinian Authority in the West Bank and Gaza Strip appears to be tottering. Whether it survives or not, the prospect of the independent state that the Palestinians have never had, and that many expected to emerge from this Authority, seems as distant as ever. The United Nations resolution of 1947 that led to the establishment of Israel called for such a state. In the years before that, Palestinians similarly failed to win independence from the British, who held a League of Nations mandate over Palestine, in part because of internal rivalries, but also because of the constellation of forces arrayed against them. 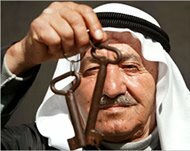 Why did the Palestinians fail to establish an independent state before 1948, and what was the impact of that failure in the years that followed, down to the present? These questions are important, first, because Palestinian history must be properly understood if we are to comprehend the present, and because this history has significance in its own right. In the West this is a hidden history, one that is obscured by the riveting and tragic narrative of modern Jewish history. In a sense, the history of the Palestinians has disappeared under the powerful impact of the painful and amply recounted story of the catastrophic fate of the Jews of Europe in the 20th century. However, achieving any serious understanding of the Middle East conflict requires comprehension of Palestinian history in its own terms, which includes but cannot be subsumed by Jewish and Israeli history. This effort is important for another reason: namely, to ascribe agency to the Palestinians, to avoid seeing them either as no more than helpless victims of forces greater then themselves, or alternatively as driven solely by self-destructive tendencies and uncontrollable dissension. The Palestinians were facing an uphill struggle from the beginning of the British Mandate over Palestine in 1920 and still face one today. Palestinian society and politics were and are divided and faction-ridden, in ways that gave hostile forces many cleavages to exploit. But the Palestinians had many assets, were far from helpless, and often faced a range of choices, whether in the 1920s or the 1990s, some of which were better, or at least less bad, than others. Writing this history from such a perspective makes it possible to put the Palestinians at the center of a critical phase of their own story, and also to understand some of their present dilemmas. 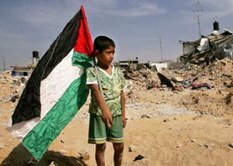 Doing so, however, is an uphill struggle in itself, and the unique challenges it presents reflect some of the larger challenges that have faced, and still face, the Palestinian quest for statehood. ALTHOUGH A FRESH LOOK at Palestinian history is needed, it cannot be “revisionist” history in the standard sense, along the lines of what has emerged from Israel in recent years. Revisionist history requires as a foil an established, authoritative master narrative that is fundamentally flawed in some way. Thus, the “revisionist” works written by a number of Israeli historians-such as Avi Shlaim, Tom Segev, and Benny Morris-argue against the country’s nationalist mythology, which has become the backbone of the received version of the history of the conflict as it is perceived in the West. One of the most important of these myths about the infant state of Israel has the number of Arab armies that invaded Israel after its establishment ranging from five to seven. However, there were only seven independent Arab states in 1948, two of which, Saudi Arabia and Yemen, did not even have regular armies. Lebanon’s army never crossed the international frontier, Transjordan’s and Iraq’s never entered the territory the UN allotted to the Jewish state, while Syria’s made only minor incursions. The only serious incursion into the territory of the Jewish state was that of the Egyptian army. This story of an invasion by multiple, massive Arab armies is not just an important element of the Israeli myth of origin, it is a nearly universal myth. By contrast, there is no established, authoritative Palestinian master narrative, although there is a popular Palestinian nationalist narrative that includes its share of myth. Some of the myths worth debunking in the Palestinian version of events include mistaken and simplistic ideas relating to the Zionist movement and Israel and their connections with the Western powers; the relation of Zionism to the course of modern Jewish history; notably a failure to understand the central place of the Holocaust in this history; and the reductionist view of Zionism as no more than a colonialist enterprise-it was both this and a national movement. Deconstructing such misconceived notions on both sides will be crucially important to an eventual reconciliation of the two peoples. 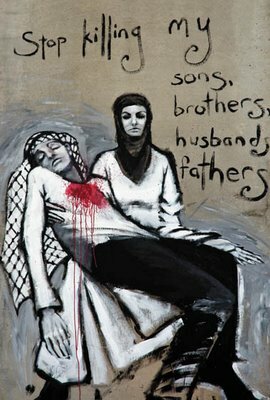 The Palestinian nationalist narrative is, in any case, virtually unknown outside the Arab world (and is contested by scholars and governments within it). However, as the Israeli new historians have been showing, many elements have in fact been borne out by archival research. These include the causes for the flight of the Palestinian refugees; the collusion between Israel and Jordan, and between Britain and Jordan, against the Palestinians; and the absolute superiority of the Zionist and later the Israeli armed forces against those of their adversaries in the field throughout most stages of the 1947-49 conflict. What’s more, any real revisionist history depends largely on archival revelations to upset established narratives. Thus, in the case of the Israeli new historians, a state’s well-organized records regarding the 1948 war, opened up in the 1980s, were used to undermine the version of its genesis that its founders and supporters had always espoused, and that has since gained universal currency worldwide. The archival situation could not be more different on the Palestinian side. There is no Palestinian state to create and maintain a Palestinian state archive. There is no central repository of Palestinian records, and a vast quantity of private Palestinian archival material-a considerable portion of the patrimony of an entire people-has been either irretrievably lost in 1948 or was carried off by Israel, to be deposited in the Israeli national library and national archives. There is, however, a plethora of scattered archival and other documentary sources that can be used to piece together aspects of Palestinian history before 1948. These include the records of the various great powers involved in the Palestine question, and the archives of the League of Nations and the United Nations. 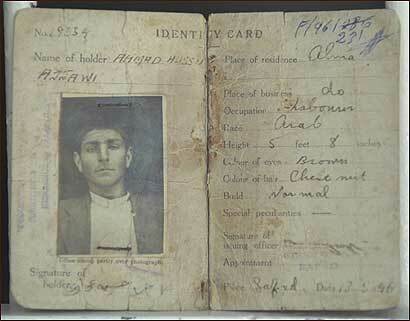 A number of official Arab archives can also be tapped. Among the most important sources is the Israel State Archives, where beyond the records of the Israeli state itself, many sets of private papers of leading Palestinian figures now reside, by default rather than due to the choice of their authors. This basic asymmetry with respect to archives is a reflection of the asymmetry between the two sides. One side, operating through a modern, successful nation-state, has used its documentary and other resources to produce a version of its history that has subtly shaped the way the world sees the conflict, a version that is now ironically being undermined from within via use of these same resources. On the other side, the production of a standard “official” Palestinian narrative was never really possible. IT IS POSSIBLE, NEVERTHELESS, to ask why the Palestinians were not more successful in their quest for independence before 1948 and afterwards, and specifically why they failed to create viable state structures in all this time. For example, did the Palestinians have options in the 1920s and 1930s that they did not fully take? Before the rise to power of the Nazis and the subsequent doubling of the Jewish population of Palestine in a few years, were there opportunities, either for compromise with the Zionist movement, or for more vigorous confrontation with the British, that their leadership did not explore? Similarly, after the 1936-39 revolt, could the Palestinians have taken steps they did not take, whether towards Britain, or in terms of their own internal organization? More recently, in the 1990s, could the PLO have held out for a better deal than the highly disadvantageous terms of the Oslo Accords? Could not the Palestinian leadership, even within the straitjacket of these accords, and under continuing and ever more restrictive conditions of Israeli military occupation, have done more to create structures of state and a rule of law? It is a tall order to explain why something did not happen, and taller still when much of the evidence has been scattered by the very events we are trying to elucidate. I nevertheless think that not only can explanations be offered, but that they will illuminate the history of the Palestinians before 1948, and much that has happened to them and to others since then. 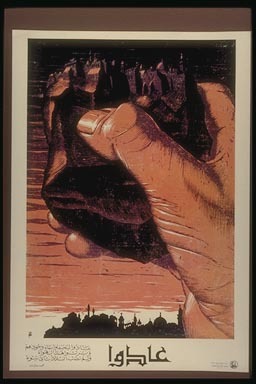 These explanations include the failure of the Palestinians themselves to focus on gaining control of the state structure created by the British or to create alternative structures of their own; the constitutional strait-jacket they were immured in by the British, which obliged the Palestinians to accept the formula which negated their national existence; and divisions among the Palestinians themselves, divisions that were exploited and fostered by their enemies. These are not minor or arcane matters. They are essential to our understanding of whether the Palestinians can today create effective structures of state in the face of fierce opposition and extraordinarily difficult conditions, including an Israeli military occupation that is now in its 40th year, and the continuing dispersal of over half of the Palestinian people outside of Palestine. Resolution of this problem will help determine whether Palestinians in the occupied West Bank and Gaza Strip, and other areas where Palestinians live, will continue to live in instability and distress or whether they and their neighbors, Arab and Israeli, will finally be able to enjoy stability and peace after nearly 60 years of suffering. Rashid Khalidi will speak at the Cambridge Forum, at 3 Church St. in Cambridge, on Wednesday at 7:30 p.m. See http://www.cambridgeforum.org for details. Rashid Khalidi holds the Edward Said Chair in Arab Studies at Columbia University, where he directs the Middle East Institute. This essay is adapted from his new book, “The Iron Cage: The Story of the Palestinian Struggle for Statehood” (Beacon Press). I JUST FEEL LIKE HURLING! I suppose I will be labeled an anti Semite for feeling the way I do… but in reality those that I am writing about are in the process of destroying Israel and any hopes of achieving a true peace in the region…. not me. ‘Social Democrats’ were always a turnoff for me. I always thought of them as opportunists, ready to make deals with anyone to further their own political interests. In Israel, where the Labour Party has bounced back and forth from being the party in power to the official opposition, things were no different. Their so-called leader Shimon Peres displayed his willingness to ‘sell his soul’ to Satan himself when he sat down at the side of Ariel Sharon. In the thirties the Communists referred to the Social Democrats as Social Fascists… or Social Demirats… I thought that was quite extreme and sectarian…. but there is no other way to describe them today. This move by the Labour Party will surly create new anti-Israel sentiments among the real left and among the Palestinian population within Israel… It’s a damn shame… I just feel like hurling! Below is an article that appeared in HaAretz… it’s just sickening. Labor Party ministers on Sunday were not rejecting the entry of Avigdor Leiberman’s Yisrael Beiteinu party into the governing coalition. In light of the impending budget vote and the fact that Labor MKs won’t necessarily support the budget, Agriculture Minister Shalom Simhon (Labor) said he understands Olmert’s desire to expand his coalition. Simhon said he would not reject bringing Lieberman into the government and adopting some of his proposed ideas on governmental changes. Infrastructure Minister Benjamin Ben-Eliezer (Labor) also said Lieberman could join the government it he accepts its basic platform. Tourism Minister Issac Herzog (Labor) said Lieberman’s entry into the government will not take place in the near future. Herzog said that Lieberman has an agenda matching Olmert’s but noted their interests clash. Leiberman told Haaretz on Sunday that if he does decide to take his right-wing party into the government, negotiations over conditions would take less than two hours. Lieberman reached an agreement with Prime Minister Ehud Olmert on Friday that Kadima would support Lieberman’s bill proposal to change the system of government when it is submitted to the Knesset for a preliminary reading. The allocation of ministerial posts to Yisrael Beiteinu will not be a bar to the party’s entry into the government, Lieberman said. “If there are negotiations on our entry into the government, and we decide that we want to join, it will take an hour or two,” the Russian-born politician said. He added, however, the decision would not be made until after the preliminary reading of his bill to change the system of government. According to Lieberman, there is no point in discussing the allocation of ministerial posts, as Yisrael Beiteinu has no immediate plans to join the coalition. He said that his and Olmert’s positions have moved closer together since the prime minister abandoned his plan for unilateral withdrawal from the West Bank, and agreed to support his plan for a presidential system of government. Senior Labor cabinet minister Ophir Pines-Paz, responding to widespread reports of the planned cooperation between Olmert and Lieberman, earlier Sunday ruled out Labor involvement in a future possible future coalition between Kadima and Yisrael Beiteinu. During their lengthy meeting Friday, which was arranged at the prime minister’s request, Olmert and Lieberman agreed to work together to create a constitution and make structural changes to the system of government. The agreement reached Friday is viewed as the first confidence-building measure between the two sides. Figures close to Olmert said Saturday that Lieberman is an attractive coalition partner. Senior Kadima officials suggested that Olmert wants to have a few coalition options firmly in hand before the Knesset winter session begins, partly to fill the vacuum left by the removal of the West Bank pullout from his political agenda and to divert attention from the controversy over the war in Lebanon. Associates of Lieberman are saying that he would enter the government if all five of his conditions are met: changing the system of government, ending unilateral foreign policy initiatives, canceling the plan to evacuate illegal settler outposts, removing the pullout plan from the agenda, passing a law to permit secular marriage and establishing a government commission of inquiry on the war in Lebanon. Olmert is opposed to the last item. Even so, Lieberman associates say the chances of Yisrael Beiteinu’s joining the coalition have risen since the convergence idea was scrapped, and that Olmert is willing to cooperate over a change in the form of government. “It’s no secret that our economic outlook and Lieberman’s are completely different, and our political-diplomatic outlook, even more so,” he added. In particular, Pines-Paz said, “He is against evacuating outposts, which is one of the most central issues for us. This is something that we have brought to the cabinet. There is a program which the Labor Party chairman [Defense Minister Amir Peretz] and I formulated on the eve of the elections. For us, this is a [main plank of our] platform. Olmert briefed Peretz about the Lieberman meeting only after the fact. A statement from Peretz’s office said that the prime minister has the right to meet with whomever he sees fit. Senior Labor officials believe Olmert was signaling Peretz that the Labor chief is not irreplaceable, a message that may have been sent with the upcoming budget talks in mind. I said a number of times that I doubted the existance of Bin Laden.. Searching through Uruknet I found that others share similar theories… not about Bin Laden, but about ‘Al-Qaeda’.. THIS article appeared there the other day and is definitely worth reading… make sure to watch the video as well. 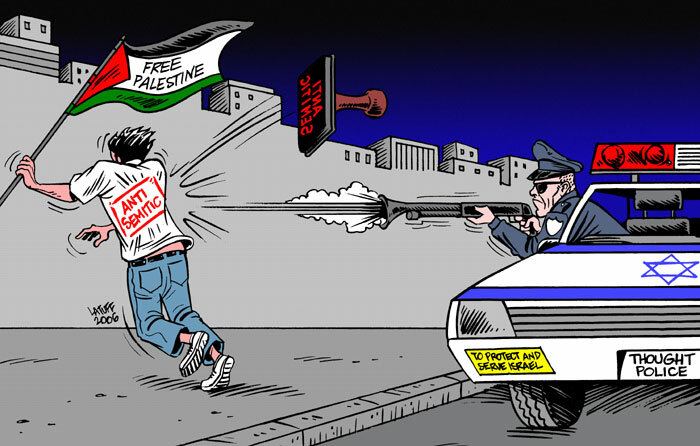 Another ‘spit in the face’ of the Palestinians…. 218 ‘lost descendants of ancient Israelites’ are on their way ‘home’ to Israel. These people and their families have been living abroad for 27 centuries. Not only are they ‘returning’ to Israel, they are making their homes in West Bank Settlements… LAND OWNED BY PALESTINIANS. Why am I calling it a ‘spit in the face’? Not only for the reason stated above, but also because there are Palestinians who have been living abroad for less than one century…. but they cannot come ‘HOME’. This is THEIR HOME… not the squalor of the refugee camps many are living in…. Not the Diaspora where they spend their days yearning to return to their families. THIS IS THEIR HOME…. but they do not have a Right of Return to come back. That is why it is a spit in the face… a great injustice and one that has to be rectified. Palestinians need a RIGHT OF RETURN….. NOW!… Not in 27 centuries. CHENNAI, India (RNS) A group of 218 people belonging to an Indian tribe recently recognized as “lost descendants of ancient Israelites” will soon be welcomed to their new homes in Israeli settlements in the West Bank. The emigrants are members of the Bnei Menashe tribe living and practicing Judaism in northeast India. The Bnei Menashe believe they are descended from one of the 10 lost tribes of Israel who were exiled when Assyrians invaded the northern kingdom of Israel in the 8th century B.C. Many of the exiled Israelites made their way across the “silk route”, ending up in China. The Shinlung tribe, as they were also called in China, eventually migrated to Myanmar and northeast India, losing many of their Jewish customs along the way. 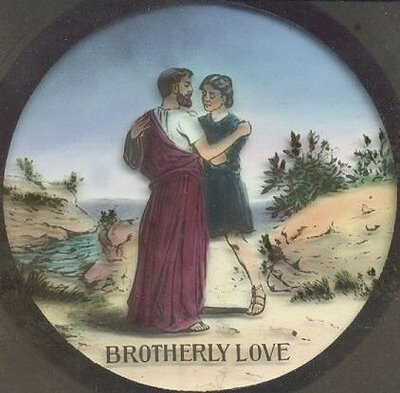 Copyright 2006 Religion News Service. 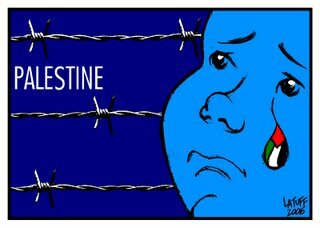 Hardly a day goes by without me posting about the crisis and war that is going on between Israel and Palestine. Unfortunately the western world seems to expect there to always be trouble here… ‘it’s always been that way and will remain that way.’ That is the most defeatist of attitudes imaginable and is totally not acceptable. If one was to accept it, then things definitely would remain the same…. THAT IS NOT GOING TO BE THE CASE! 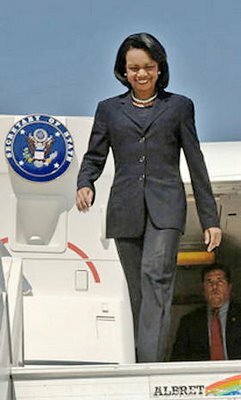 But, because of that attitude, it seems very little is written in the west about the day to day conflicts here, other than the short stints of Ms. Condi and her ‘triumphant victories’ in bringing about a settlement here. In other words, the western reader is told what the system wants them to know… lies and other forms of fabrications about the crisis here. 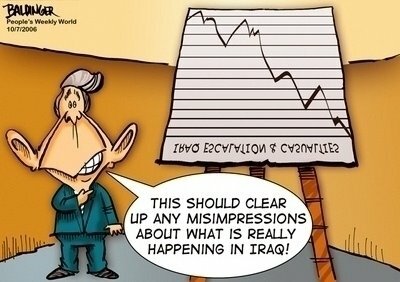 This is not so when it comes to the involvement of the United States in Iraq. Following are two paragraphs taken from an article by Tom Engelhardt on the on line edition of the Asia Times. This week, the count of American war dead in Iraq passed 2,700. The Iraqi dead are literally uncountable. Iraq is the tragedy of our times, an event that has brought out, and will continue to bring out, the worst in us all. It is carnage incarnate. Every time the US president mentions “victory” these days, the word “loss” should come to our minds. A few more victories like this one and the world will be an unimaginable place. How many Iraqis want the US to withdraw its forces from their country? Except in the Kurdish areas of northern Iraq, strong majorities of Iraqis across the country, Shiite and Sunni, want an immediate US withdrawal, according to a US State Department survey “based on 1,870 face-to-face interviews conducted from late June to early July”. In Baghdad, nearly 75% of residents polled claimed that they would “feel safer” after a US withdrawal, and 65% favored an immediate withdrawal of US and other foreign forces. The facts regarding these matters are public , the people are aware of them… they have responded with massive anti-war demonstrations… on a daily basis at this point. There is no way that U S involvement can be justified. The people of Iraq do not want it, and neither do the Americans. 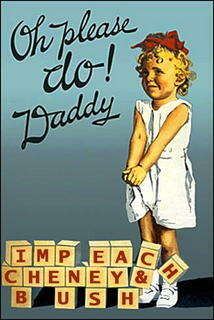 Hopefully Washington will get that message loud and clear on Election Day next month. In a true demonstration of INTERNATIONAL HYPOCRACY, one of Israel’s largest, private fuel suppliers just completed negotiations with Hamas officials regarding the sale of fuel to Palestinian areas. I find it disturbing that the Palestinians did not research the market more thoroughly before entering the negotiations, surely Venezuela might have been a more reliable partner, with a better price tag…. But, be things as they are, this could be the start of something ‘big’…. perhaps even Israel’s recognition of Hamas as the legitimate, elected government of the Palestinian people….. leading to the establishment of a Palestinian State…. we can hope. Below is one of the many articles that have appeared in the Israeli and Palestinian press… this one from AlJaZeera. The Hamas-led government has signed a contract with a new Israeli oil supplier to provide fuel to the Palestinian territories. Samir Abu Eisheh, the interim finance minister, said on Thursday that the Palestinian government had signed a contract with Paz, a private Israeli company, to replace Dor Alon, the firm which has provided fuel to Gaza and the West Bank for 12 years. The deal comes despite the Israeli government’s refusal to deal with the Hamas-led administration, headed by what Israel and many Western countries consider a terrorist organisation. “We negotiated with three companies, including Dor Alon, and we managed to improve the terms of the contract in reducing the margin of the new supplier which will begin supplies at the start of next year,” Abu Eisheh said. A Paz spokeswoman confirmed that the contract had been signed and would come into effect in January 2007. Abu Eisheh said the contract would allow the Palestinian treasury to save $17m a year over the terms of the old contract with Dor Alon. Dor Alon has frequently interrupted supplies owing to unpaid bills by the Palestinian government, which is on the verge of bankruptcy due to the suspension of aid and Israel’s decision to withhold millions of dollars in taxes. but what will she do to ‘alleviate’ those hardships… does she really know the suffering that is going on? But they do not get the opportunity to take photos like these… they are not permitted by the Israelis to see the sights of Palestine…. I often wonder what the Israelis are trying to hide. Perhaps these photos will answer that question… thanks to Annie of Annie’s Letters for posting these. 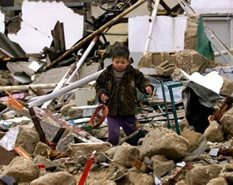 A Palestinian boy among the demolished homes of Jabaliya refugee camp. 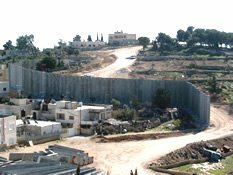 The Apartheid Wall divides, annexes and destroys massive amounts of Palestinian land. 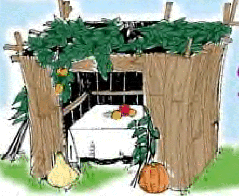 This Friday night is the start of the eight day festival of Sukkot ; the Feast of Tabernacles. According to the link provided, Sukkot commemorates the wanderings of the Israelites, which began with the exodus from Egypt (Passover) and continues with the giving of the Torah at Sinai (Shavuot) and ends with the wandering in the desert for the full 40 years as punishment for the sin of the golden calf. Most Jewish Festivals commemorate something that happened in our history….. the concept is TO REMEMBER and TO TEACH OUR CHILDREN. Which brings to mind a question…. Why is it that most of these people seem to FORGET that Ismael and Isaac were brothers?… both from the same Father… Abraham. One often hears Jews refer to Arabs as ‘our cousins’…. it is the truth. But, the problem is, they are not treated as such. They are treated as enemies, outsiders, terrorists. Is this how we treat family members? Instead, we should be united with the Palestinians in their struggle to establish a state of their own… united we can do it and united we can show that we truly are a family… not strangers. 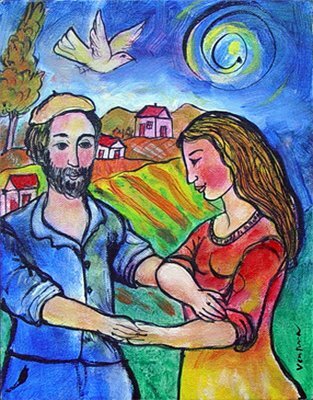 As part of the commemorations that the Jews love so much, why can’t there be another celebration…to commemorate the birth of Ismael. This could also be used as a tool TO REMEMBER and TO TEACH OUR CHILDREN…. it might even lead to a glorious concept called PEACE…. That concept does not have to remain a dream forever… it can become REALITY… if we only REMEMBER. I just received this wonderful news from Sam Bahour … a most welcome update on his situation. I felt I must share it with all of you immediately as I know you have been supportive of his personal strugggle and of all of those in the same situation. Lets all keep our fingers crossed that this is only the beginning of something good… not just a ‘fluke’ in the system. called to the immigration clerk’s window and asked about my wife and children. While I waited I was joined by many friends that were passing from Amman to Palestine. yet others were sadly denied entry and returned to Jordan. kids and husband are in Palestine and she, a U.S. citizen. was denied entry. attached) and ask these folk to attempt to return to Palestine. Rest assured, we will not rest until access to Palestine is free and unfettered. Tis the season to pick the olive crop. 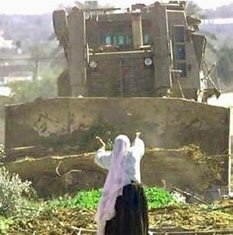 There is a race of time in Palestine as Israeli settlers and troops destroy the groves, making it impossible to harvest the rich crops. If you are a visitor to the region, if you live here… this can be your biggest boost to International Solidarity. Don’t allow the crop to fail… it is a major source of income for local farmers. Members of the Palestinian Youth Freedom Initiative are calling upon all international human rights institutions to support Palestinian farmers in the Jenin area as residents prepare for the annual olive harvest. The youth group hopes to draw attention to Israeli actions comprising the olive harvest, which acts as a major source of income for local farmers. The Israeli military has been illegally confiscating and destroying the olive farms for their separation, or apartheid, wall. In a statement issued by the Youth Freedom Initiative, members report that a state of fear has prevailed in the Jenin area as communities adjacent to the Wall prepare for the worst. Many farmers fear that Israeli troops will not allow them to access their lands in order to harvest the olives. The Initiative reports that Israeli forces have cancelled the permits of dozens of farmers, preventing the residents from freely moving and working, on the pretext of “security concerns.” The Palestinian youth members emphasized the need for international solidarity to stop the unjust Israeli actions.